Consult a physican if you or someone you love show symptoms of depression. Do you worry incessantly? Are you irritable? Depression for the elderly isn't a natural occurrence, but it is a common mood disorder seniors suffer from. Learn the signs and symptoms of senior depression and how to treat it. 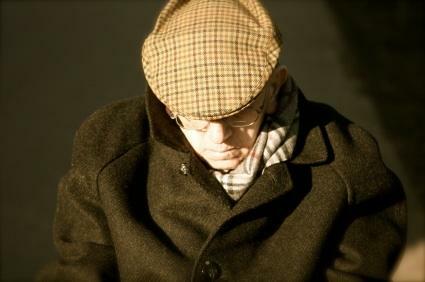 A senior may not realize that his or her symptoms are depression. Instead, there may be a misconception that what he or she feels is a normal part of aging. To complicate matters, a number of older people with depression are misdiagnosed as having Alzheimer's or dementia. Another frequent problem prohibiting the appropriate treatment for elderly depression is that an individual may judge feeling depressed as a sign of weakness or lack of character. Seniors may be reluctant to seek appropriate treatment. Senior citizens with depression are also at an increased risk for problems with alcohol abuse, due to retirement and social isolation. Incidentally, some medications are known to cause depression, and seniors tend to take more prescription medication than younger adults. Another issue is that many of the elderly don't always take their medication as prescribed. The first step in getting help for the possibility of elderly depression is to see a physician for a complete wellness physical. If the individual is withdrawn or confused, a family member or caregiver should accompany him or her to the doctor's office. Whether the senior goes to the doctor's office alone or not, the doctor will need a detailed medical history. Be sure to tell the doctor about all medications being taken. This includes both prescription drugs and over-the-counter products. The easiest way to deal with prescription medications may be to bring the bottles to the appointment. Depression can be caused by the medications themselves. It can also occur as the result of interactions between different medicines. If no physical cause for the symptoms is found, then the individual should be seen by a mental health professional. The best choice is someone who specializes in the care of seniors or a health care provider who has experience treating people in this age group. A number of antidepressant medications are on the market. The newest class of medications used to treat depression is known as Selective Serotonin Reuptake Inhibitors (SSRIs). SSRIs are often prescribed because they tend to have fewer side effects for patients than other types of antidepressant medication. Prozac, Paxil, Zoloft, and Luvox are all examples of SSRIs. Prozac is the most-prescribed antidepressant in the world. SSRIs can be more expensive than other types of medication. SSRIs don't work to relieve symptoms of depression immediately. Most people on this medication need to take it for a number of weeks before experiencing relief from their symptoms. It's advisable to keep a journal to track symptom relief and overall reaction to treatment. Recent studies also indicate that people with mild cases of depression respond well to treatment with St. John's wort. Visit the National Institutes of Health's National Center for Complementary and Alternative Medicine website for more information. It's important to consult the regular physician once again to evaluate any antidepressant counteraction with other prescribed medication. A pharmacist may also be able to assist with this. Another type of therapy for elderly depression is "talk therapy." Psychotherapy can be used to treat depression on its own or in combination with drug treatment. Individuals can meet with a therapist alone or as part of a group to discuss feelings and challenges as they strive to recover from depression. Depression is a very common mental health problem, so there's no need to stigmatize the condition. It has even been called "the common cold of mental illness." If you or a loved one experience symptoms of depression, do seek medical help promptly. The condition has a high rate of successful treatment.